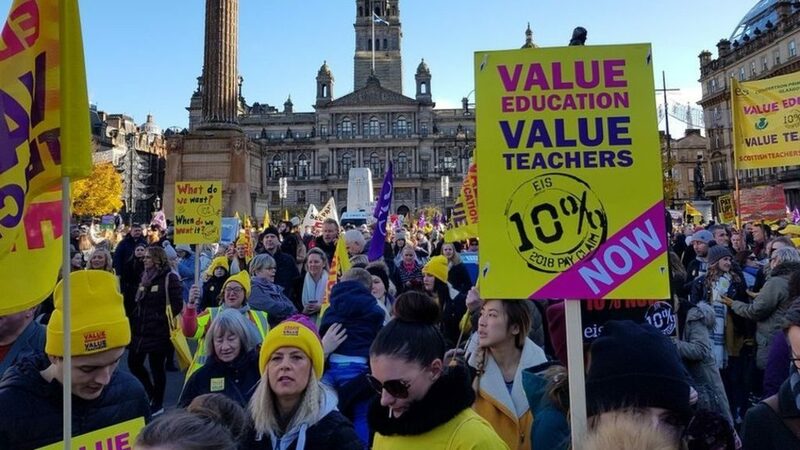 30,000 teachers have descended upon Glasgow to fight for equal pay and show off their fancy spelling that they themselves lernd in skewl. “I saw a teacher from East Ayrshire use a semicolon and parenthesis in the same sentence – give them 10%!” said one amazed bystander. “Campaigning for 10% is selfish. We should all be equally skint and miserable” said one angry tumshie person.